An irresistible collaboration between acclaimed filmmaker Mia Hansen-Løve (Eden, Goodbye First Love) and legendary actor Isabelle Huppert (Amour, White Material, The Piano Teacher), Things to Come is an intelligent, poetic and naturalistic exploration of one woman’s pursuit of happiness. Nathalie (Huppert) teaches philosophy at a high school in Paris. She is deeply passionate about her job and enjoys passing on the pleasure of thinking to others. Married with two children, she divides her time between her family, former students and her eccentric mother, leading a life of personal and intellectual fulfillment. Unexpectedly, Nathalie's husband announces he is leaving her for another woman. With a newfound freedom suddenly thrust upon her, Nathalie must reinvent herself and establish a new way of living. To celebrate the release of Things to Come in cinemas and on Curzon Home Cinema on 2 September, Curzon Artificial Eye and Brasserie Zédel are offering the chance to win some fantastic prizes featuring the very best in French filmmaking and cuisine. Before their collaboration in Things to Come, in which 2000 film did Mia Hansen-Løve and Isabelle Huppert appear onscreen together as mother and daughter? Enter the competition on Twitter by tweeting @CurzonCinemas using #ThingsToCome, or email win@curzon.com with "Things to Come" in the subject line. Winners will be selected and contacted on 16 September. Good luck! Ticketholders for Things to Come screenings at Curzon Cinemas can also enjoy a complimentary French Martini at Brasserie Zédel. Just show your ticket stub or booking confirmation for Things to Come at the restaurant when ordering a prix fixe menu (£9.75/£12.75). 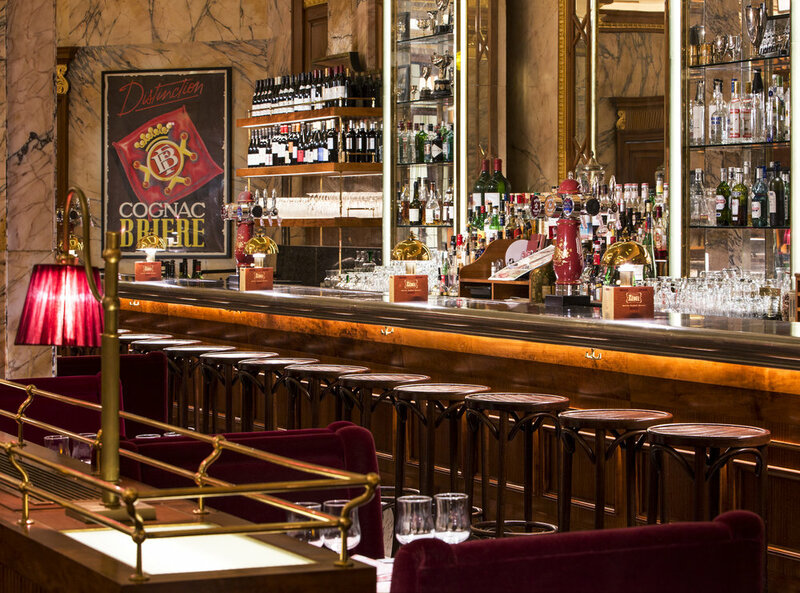 Brasserie Zédel is a grand Parisian brasserie transported to the heart of London, serving remarkable traditional French food in a historic Beaux Arts/Art Deco interior. By entering this competition, entrants agree to be bound by these terms and conditions. Only one entry per person, multiple entries will be disqualified. The promoters accept no liability for lost, damaged or incomplete entries, or for those that fail to be delivered, or are not delivered by the closing date and time. The competition is open to people aged 18+ only. This promotion is only available to those who are residents of the UK. The promoters reserve the right to provide an alternative prize, of equal or greater value, should this become necessary. The promoters reserve the right to close this draw without warning and without selecting winners. Any clause in these terms that is deemed illegal, invalid or otherwise unenforceable shall be severed from the contract and the remaining clauses shall remain in force. The competition opens on 31 August and closes on 16 September. Any entries received after this date will not be counted. There will be only 2 winners selected. This prize is non-transferable; the winner must be present in order to claim their prize. There is no cash alternative for this prize. Travel is not included in the Brasserie Zédel prize.